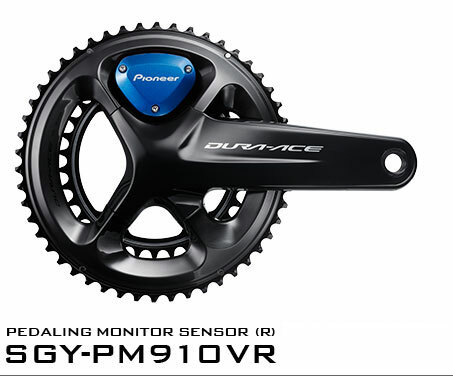 What is the pedaling monitor system? 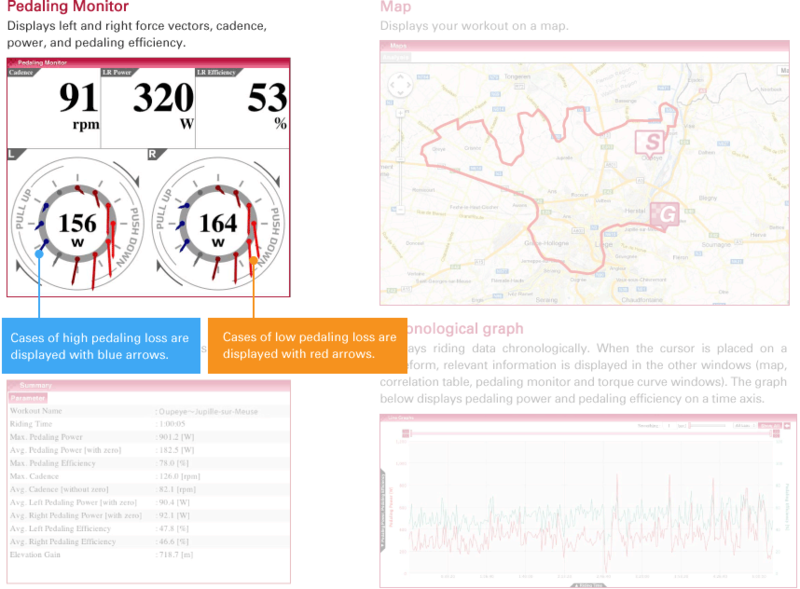 The Pedaling Monitoring System provides a multitude of metrics; precise power measurement and detailed analysis of your pedaling efficiency are valuable tools for increasing your capabilities as a cyclist. 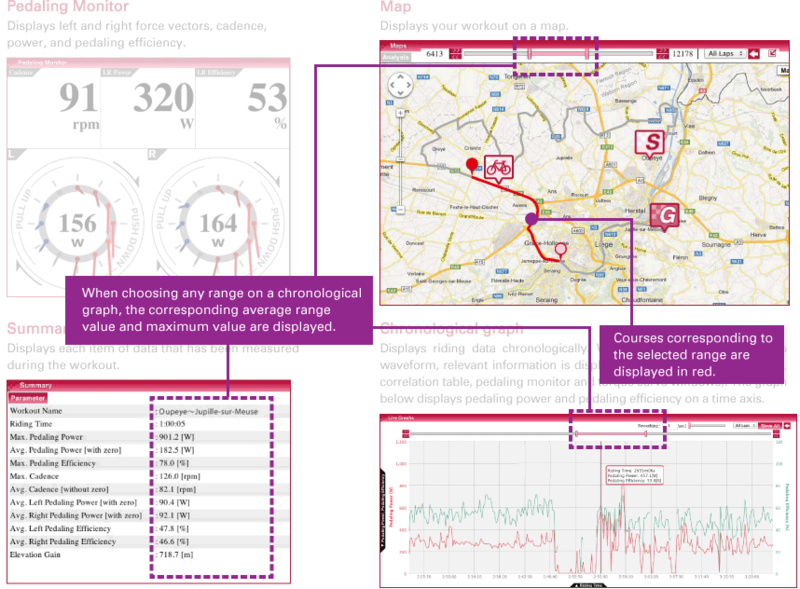 These tools can provide useful information both during and after training sessions. 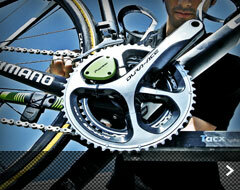 The result of increased power and pedaling efficiency leads to an overall gain in performance and endurance. When seconds count, and having the power to push through is needed, using these details to design/improve training can take an athlete all the way to the podium. Strain sensors that detect minute changes are attached to the left and right crank arms allowing for the calculation of power for left and right sides independently in real time. 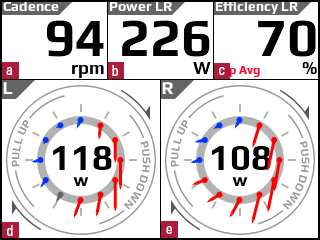 The system analyzes the pedaling rotation every 30 degrees and accurately displays pedaling efficiency. 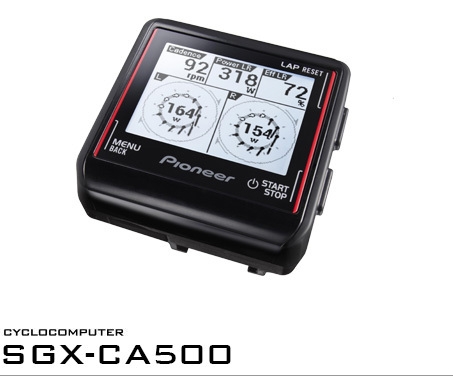 The ability of this power meter; to measure both "useful" and "loss" forces in pedaling efficiency is revolutionary and holds the key to finding the most effective pedal stroke, both visually while riding utilizing the 2.2" color LCD touchscreen cycle computer with cutting edge graphic displays, customized viewing layouts and rugged durability, as well as post-training by using the“Cyclo-Sphere” dedicated cloud service. 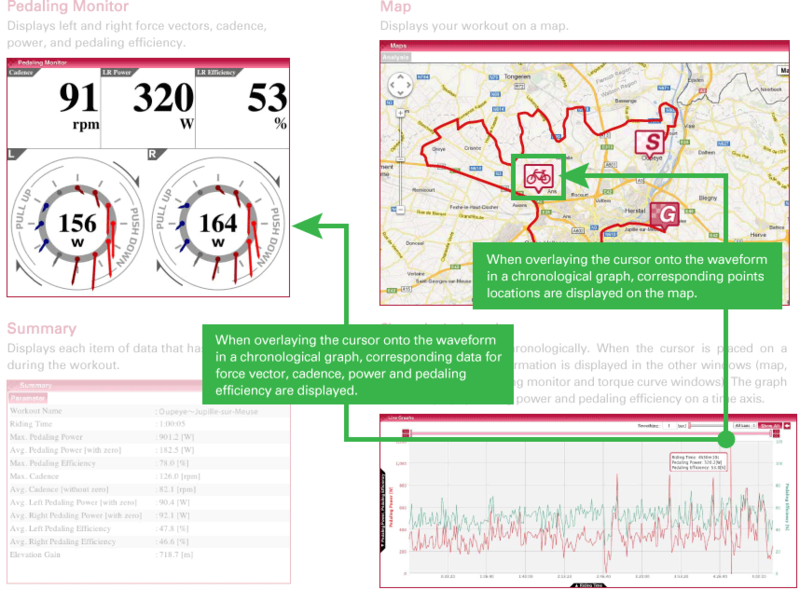 Uploading ride data to the Cyclo-Sphere allows you to identify problems to be solved for the next race, compare data with previous rides and freely make use of data to meet your athletic performance goals. Data can be reviewed in many chart/graph options and shared with your coach as well as your social media friends and fans. Pioneer’s development skill and technology acknowledged by professionals. State of the art system supporting one of the world’s top professional teams. 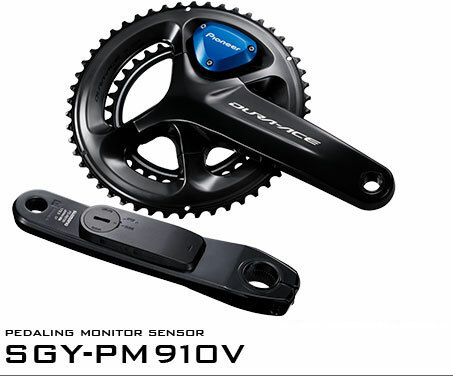 2013The UCI ProTour Belkin pro cycling team（"2015 Team Lotto NL-Jumbo"） decided to use the “SGX-CA900” and “SGY-PM900” to analyze and improve its athletes’ abilities. A world class professional cycling team and the world's first groundbreaking pedaling monitor system make for an ideal collaboration. Team coach, Mathieu Heijboer, highly praises the monitoring system for obtaining all the necessary information for ride data analysis such as cadence, power (including individual leg watt readings), as well as distance covered and location altitude. He reports great satisfaction with the pedaling monitor which incorporates Pioneer's unique technology and has definitely improved rider abilities. 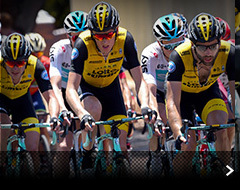 The competition in the UCI ProTour is extremely fierce. Reducing pedaling loss is essential for success in the world's top races. 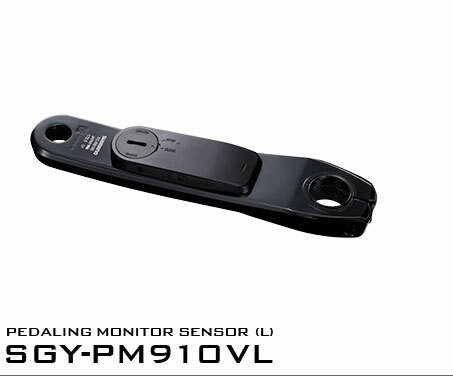 Now, with tools such as the pedaling monitor, the athletes can vastly improve their racing. 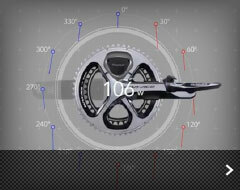 Advanced Analysis of ride data using the Cyclo-Sphere cloud based analysis service. 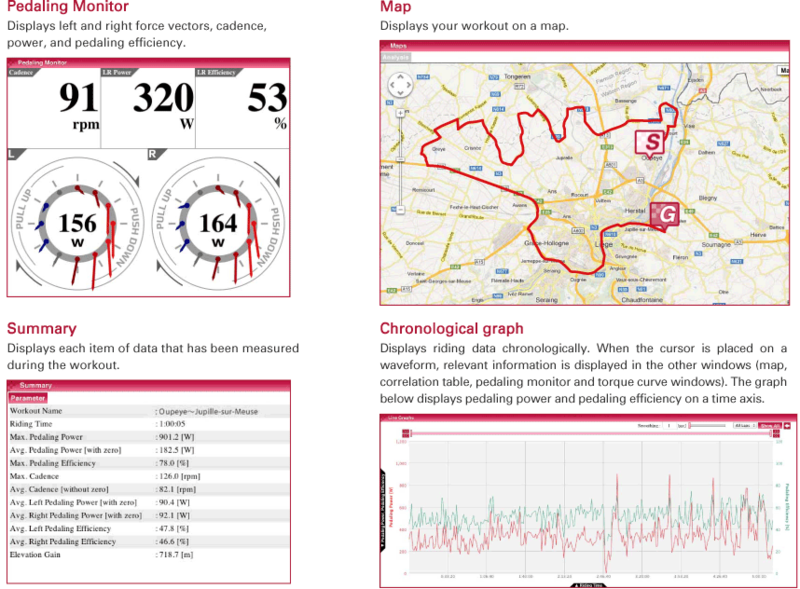 Ride data that is acquired using the cycling computer is uploaded to the “Cyclo-Sphere” cloud and can be displayed using graphs and maps tailored to suit individual goals. 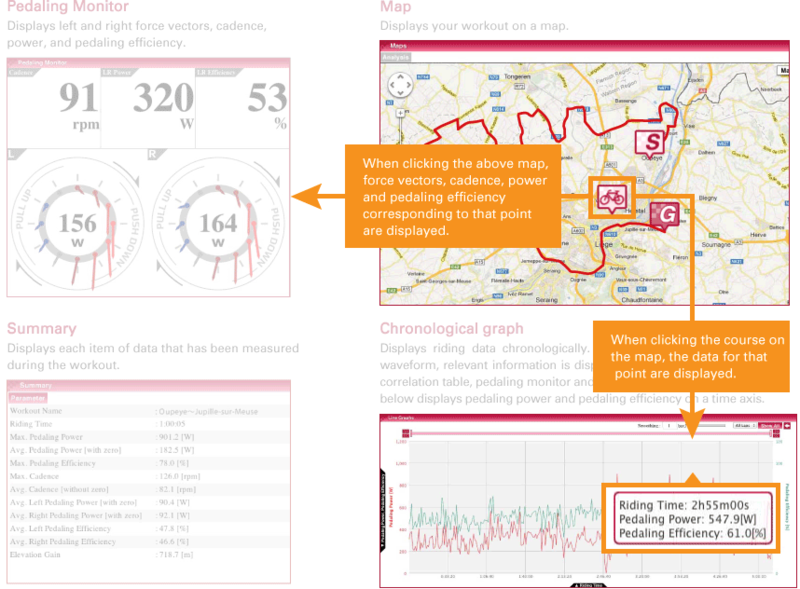 Improvements in training methods can be designed through the analysis of ride data from training and races. Subsequent uploads allow for comparison and accurate measurement of the resulting improvements in the athlete’s ability. You may not be able to use SSL encoding if you use a browser other than one of the recommended browsers. Also, the data may not display correctly. If this happens, please upgrade to a recommended browser.